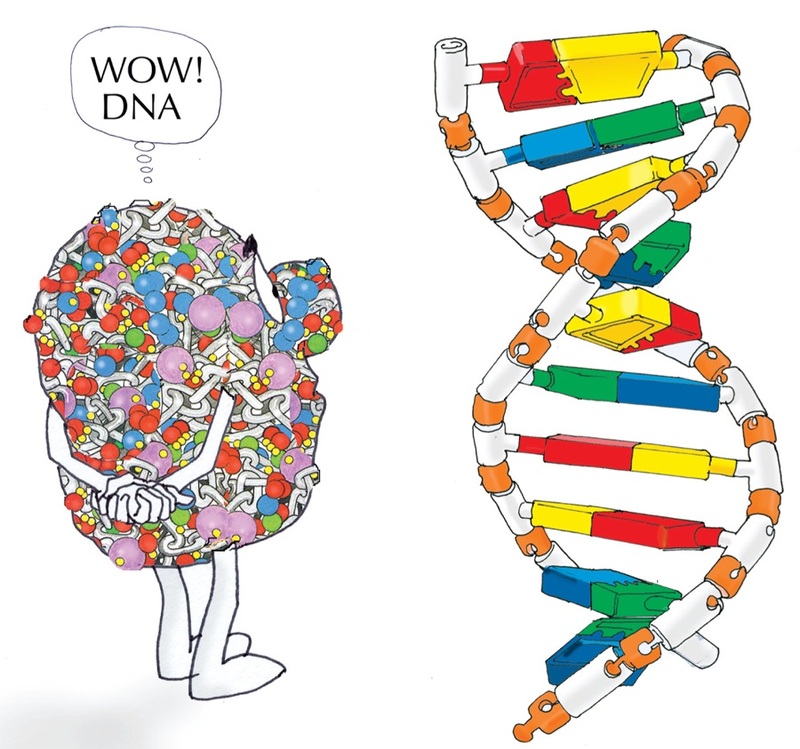 TeachDNA is a short book and lesson series about the science of Biology. If you want to know what all living things have in common with one another and with you, and want to understand how living things function, diversify, and evolve over time, you’ll find everything inside. TeachDNA.com is for curious people who want to explore the way life works, for teachers who want to inspire their students, and for fans of scientific models. We want to make teaching and learning about the basic principles of biology easier and more fun for everyone. The DNA model, tested in many classrooms, gives both teachers and students a surprising and revealing kinesthetic understanding of the structure and function of DNA. (You will undoubtedly, as we did, make mistakes as you assemble and demonstrate the model’s functions. As you do, and as you reassemble, you and your students will gain an even greater understanding of this molecule and its structure and function). The books you can download from this site inspired the model. Their role is to enhance what you learn from the model. They teach basic biology with easily understandable text and graphics. Please, though, not for children under 5. There are tiny pieces they might choke on.